GRAND RAPIDS, Mich. -- A 13-year-old boy is competent for trial in the fatal stabbing of a 9-year-old boy at a western Michigan playground and can learn details of the legal process like any other defendant, a judge has ruled. The decision by Kent County Family Court Judge Paul Denenfeld is in line with a state expert's finding. It conflicts with the opinion from an expert hired by the boy's lawyer that the child couldn't sufficiently understand the charges and aid in his own defense. "While the defendant may not understand all the details of the process, that makes him no different from most Americans who gain their understanding of the criminal justice system from television and movies," Denenfeld wrote in his opinion released this week. "There is simply no persuasive argument that, based on the undisputed facts presented here, the defendant fails to 'understand the nature and object of the proceedings,'" Denenfeld wrote. 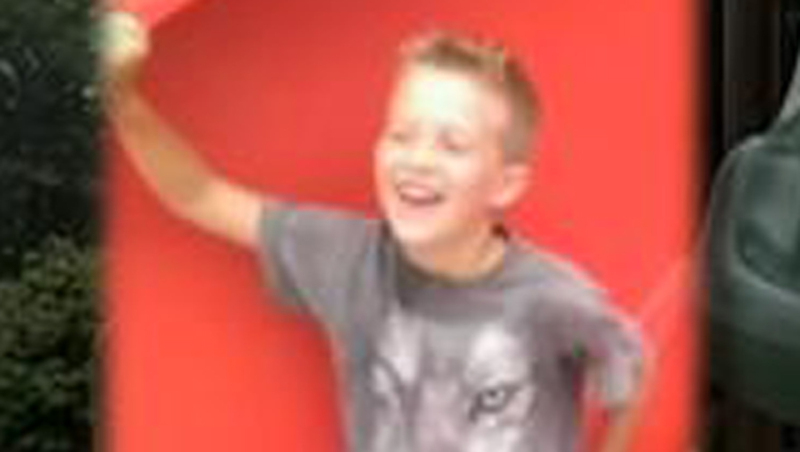 The boy is charged with murder in the death of Michael Verkerke, who was killed in August 2014 at a playground in Kentwood, near Grand Rapids. Verkerke was playing with his 7-year-old brother, his 9-year-old best friend and his alleged killer on Aug. 4, 2014, when the suspect, then 12, allegedly stabbed him in the back, reported CBS Detroit. After the stabbing, the older boy reportedly called 911 to report the attack and turn himself in, according to the station. When police responded, the boy reportedly walked toward them with his hands out, seeming to gesture that he was ready to be placed in handcuffs. According to a court filing, the 12-year-old told investigators he stabbed Verkerke because he wanted to go to jail, that he is "bad and always does stupid things," and that he thought he'd be killed "for doing something like this," reported the station. The boy isn't being named in media reports because of his age. His mother and stepfather are facing child abuse charges, and his siblings have been removed from their home. Defense lawyer Charles Boekeloo told The Grand Rapids Press he was disappointed with the judge's decision. He said he plans an insanity defense and that the then-12-year-old was not able to know the consequences of his actions. The youth is charged as an adult in the juvenile court system, Laura Clifton, an assistant prosecuting attorney with the Kent County Prosecutor's office, told 48 Hours' Crimesider. If convicted, a judge could rule to sentence him as a juvenile - in which case the court would lose jurisdiction once the boy turns 21 -- or as an adult. A judge could also choose a "blended" option in which he could sentence the boy as a juvenile and re-visit the sentence once the boy turns 21. A jury trial is scheduled for July 15.